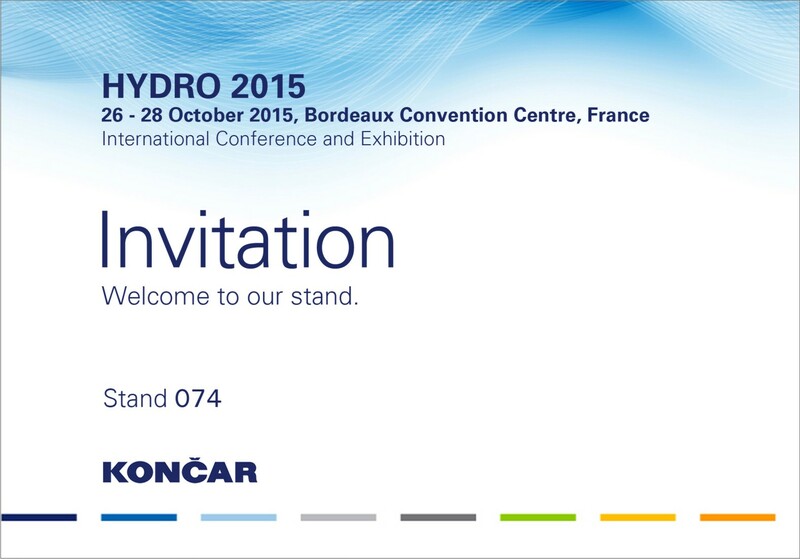 ﻿ Hydro 2015. – KONČAR Elektronika i informatika d.d. 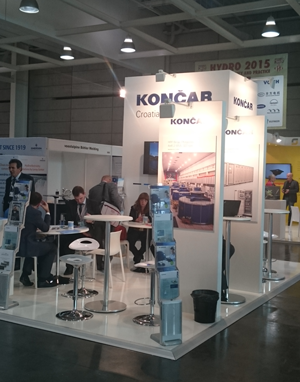 Meet us @ Hydro 2015 in Bordeaux, it’s already crowded at our booth 074. Ask about solutions we can provide for HPP and sHPP. First KONČAR Voltage Regulators in the UK 8. March 2019. Grants for the project “KONTRAC GP170DC_SK – Development of the tramway propulsion converter with supercapacitor module” 10. January 2019. Signed contract for project KONPRO 2 31. July 2018. Medium repair of static converters VIS 50-1 and VIS 60-1 5. July 2018. Reconstruction of medium voltage transformer station 35/10 kV Dugi Otok 8. May 2018. 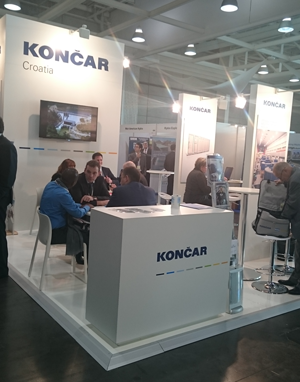 Company: KONČAR - Electronics and Informatics Inc.
Short: KONČAR - INEM Inc.
KONČAR - Electrical Industry Inc. | KONČAR - Low Voltage Switches and Circuit Breakers Ltd. | KONČAR - Generators and Motors Inc. | KONČAR - Instrument Transformers Inc. | KONČAR - Switchgear Inc. | KONČAR - Distribution & Special Transformers Inc. | KONČAR - Power Plant and Electric Traction Engineering Inc. | KONČAR - Steel Structures Inc. | KONČAR - Electric Vehicles Inc. | KONČAR - Engineering Co. for Plant Installation & Commissioning Inc. | KONČAR - Renewable Sources Ltd. | KONČAR - MES Inc. | KONČAR - Household Appliances Ltd. | KONČAR - Electrical Engineering Institute Inc. | KONČAR - Infrastracture and Services Ltd. | KONČAR - Power Transformers Ltd.